In the pediatric age, quality and quantity of sleep change greatly together with its time organization, percentage of states of wakefulness, and electroencephalographic (EEG) activity patterns. Beside the development of sleep stages, this chapter analyzes in detail the maturation of several EEG phenomena during this period of life, such as sleep spindles, K complexes, slow-wave activity (SWA), sleep EEG scalp topography, and cyclic alternating pattern (CAP). Despite the careful analyses available in the literature on each of these activities, it is suggested that new studies should try to consider and integrate spindles, SWA, and CAP at once. 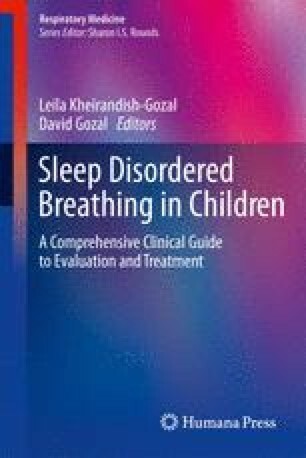 A global vision of all the different significant aspects of sleep can provide a complete picture of the phenomenon, its relevance for the normal and pathological development, and its eventual usefulness for the clinical approach to developmental disorders.